What’s a plant swap? People bring any extra bulbs, root bunches, sprouts, seed packets, pots they may have and trade them with others. It’s gardening season right now. Free parking downtown on Sundays! Since this will be indoors, please bring your plants already separated or potted so we don’t have a big dirt mess by trying to pull apart root bundles. If you’ve not dabbled in plants/planting but want to try, this is your chance to talk to others. The Wireless Remote is a modified Zipit Messenger, running it’s own very slow Linux. Useful for SSH’ing and VNC’ing into the Pi. A member of the local chapter of the Distributed Hacker Maker Network(DHMN) made the case for me. The power inverter gives me a USB 5VDC power supply, and two 110VAC outlets. Raspberry PI is on TV! Here the raspberry Pi is broadcasting it’s location onto two Android devices. The Wimm watch is wearable, and it always shows a map of where the Raspberry PI box is at. The Raspberry Pi reads the GPS from the Android phone over bluetooth. Then another Android shows a Google map of the GPS location of the travel box. updated every few seconds with the box’s location. Maker Camp 2012 – A virtual summer camp for teens! 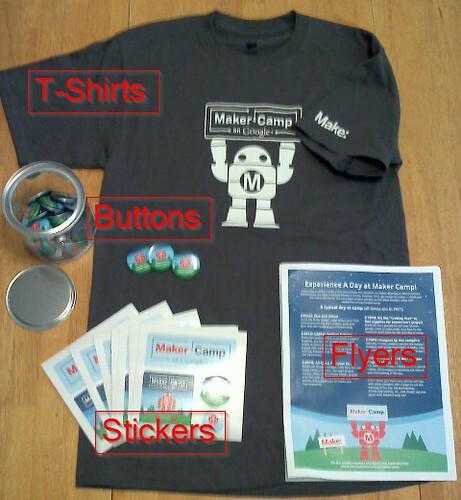 MAKE, a division of O’Reilly Media, just launched Maker Camp on Google+! Maker Camp is a free, virtual summer camp encouraging a summer of making. Maker Camp is free and open to all, and runs from July 16th through August 24th. Each weekday morning, a new project will be posted on Google+ by an expert camp counselor who will walk campers through the steps to build the project. And each afternoon, campers can join the camp counselor in a Google+ Hangout to talk about the project and look at photos and videos campers have submitted. Then, tune in every Friday, when we’ll be taking campers on epic “field trips” via a G+ Hangout. Know some teens who want to participate? Let us know and we’ll get you some shirts and stickers and stuff! Author Mike PutnamPosted on August 1, 2012 August 1, 2012 Categories UncategorizedLeave a comment on Maker Camp 2012 – A virtual summer camp for teens! 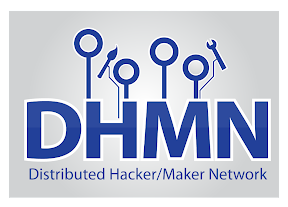 Come one, come all, to the 2nd Annual Distributed Hacker/Maker Network Summer Party! Bring an appetite and come hang out in the Big Blue Room (http://bit.ly/MUeU0O) ! ~-= Art Ed Creative Works =-~ has graciously covered the cost of the Small Shelter – thanks Ed! The Daemon will provide the rest:…. Heavy duty rope for tug-o-war? Sound system – who can bring a good one? And if you want to add to the plan, include a “request for an invite to the Trello board”. Author Mike PutnamPosted on May 5, 2012 Categories UncategorizedLeave a comment on EggBot! Turret! Shapelock!